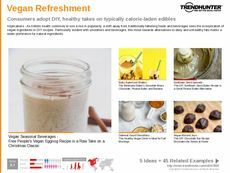 Find Better Ideas, Faster ® with a custom vegan cuisine trend report, our PRO Dashboard and 80+ categories of premium trend reports. 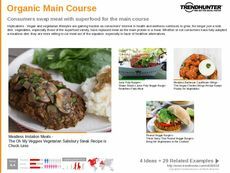 Our Vegan Cuisine Trend Report showcases exciting developments in vegan-based dishes and new dining innovations. Explore how the food, beverage and restaurant industries are embracing dietary menus that adhere to vegan food restrictions. 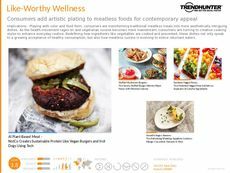 Furthermore, with the help of Trend Hunter's expert insights, readers will gain an enhanced understanding of what the future of vegan cuisine has in store. Our research is an excellent primer on the modern state of the vegan culinary world. We sift through the overcrowded marketplace to bring to you only the most cutting-edge developments when it comes to new vegan cuisine. 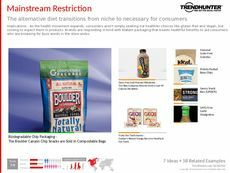 Thanks to our report, readers will also gain the ability to spot and track food trends well before their competition. 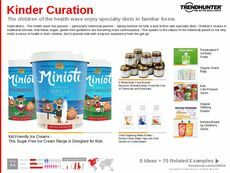 Trend Hunter's Vegan Cuisine Trend Report is an enhanced research tool designed to foster personal culinary insight and innovation.